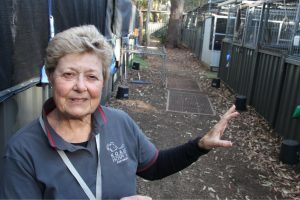 Global Travel Media » Blog Archive » JOHN ROZENTALS salutes the volunteers who keep the Port Macquarie Koala Hospital running. JOHN ROZENTALS salutes the volunteers who keep the Port Macquarie Koala Hospital running. The 200 or so volunteers who largely run Port Macquarie’s Koala Hospital really should be bottled. With the help of a skeletal professional staff, they man — I use the term in its broadest sense because most of them seem to be women — one of Australia’s few centres totally committed to looking after the declining numbers of one of our truly iconic creatures. Talk to visitors. High on the wish list of most will be to see a koala. 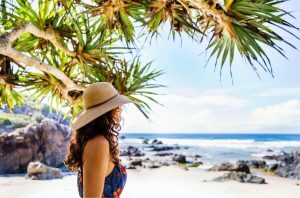 The hospital has a treatment room, eight intensive-care units, six outdoor intensive-care units and 33 rehabilitation yards, where koalas on the mend can reacclimatise themselves to a life in the bush, though some occupants have taken up permanent residency. Seasons, Cassegrain Wines … I always look forward to dining there. Image: Destination NSW. 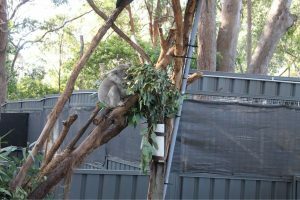 It seems that most of the rehab yards have native trees for the koalas to practice skills on and to live in. Many of the 200-250 inmates treated annually suffer from chlamydia, but motor-vehicle accidents and dog-induced traumas are also significant. Yes, mankind’s encroachment has a lot to answer for when it comes to the koala’s potential demise. And koala rescuers don’t just experience the warm-and-fuzzies. Their name becomes part of the koala’s name, certainly during treatment. Flynns Beach, Port Macquarie. Image: Destination NSW. Go on, do your bit for a threatened national icon. 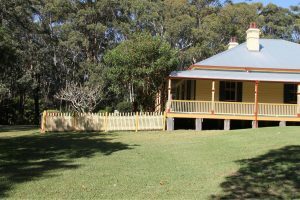 The Koala Hospital, incidentally, sits cheek–by–jowl with one of Port Macquarie’s most historic residences, Roto House, built in 1891 by surveyor John Flynn and now an integral part of the National Parks and Wildlife Service’s portfolio. I gather, also, that it was the first Australian home of the Cassegrain family, which had been making wine in France since 1643 and started one of Port Macquarie’s landmark businesses, Cassegrain Wines. Sue Ashton … Media Manager at Port Macquarie Koala Hospital. It’s been a few years since John Cassegrain decided that the humid climate of Port Macquarie was far from ideal for the production of premium table wines and looked, together with his winemaking son Alex, to cooler NSW climes for their grapes. 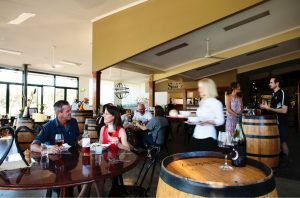 The location of their cellar door and restaurant is ideal, though — about midway along the main highway between Sydney and south-eastern Queensland — and the fare there is top-class, particularly since the family has retaken control of Seasons, the estate’s eatery. 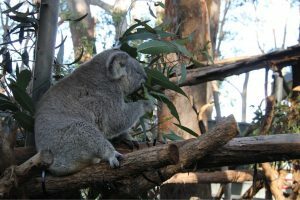 Port Macquarie Koala Hospital … Many of the 200-250 inmates treated annually suffer from chlamydia, but motor-vehicle accidents and dog-induced traumas are also significant. The restaurant has a decidedly Gallic flavour but with a healthy — for that read delicious — dash of local Australian produce thrown in. I always look forward to eating there, especially if I’m sharing the table with John. And talking of dining in Port Macquarie, I was introduced by John on my last visit to Bills Fishhouse & Bar, a newish venue doing some great things with seafood. It’s casual and buzzy, and features some top items on the menu. Port Macquarie Koala Hospital … one of Australia’s few centres totally committed to looking after koalas. I tried some local king prawns and the pan-roasted local kingfish, served with heirloom carrots, lemongrass, ginger and charred leek. Both dishes were excellent, particularly the kingfish which was cooked just the way I like it — only just. Another quite new place I tried was PortoBistro, tucked away from the main shops but definitely worth the hunt. Roto House … an integral part of the National Parks and Wildlife Service’s portfolio. The menu may be a bit limited but the food is sensationally flavoured and presented. I was completely blow away by the chef’s modern take on a very old Australian favourite — the once-ubiquitous prawn cocktail. It was a knock-out. 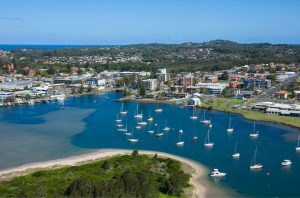 Port Macquare’s Hastings River … flows through the centre of the city. Image: Destination NSW. 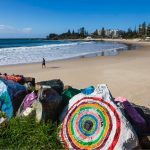 Disclosure: John Rozentals was a guest of Port Macquarie Tourism. Port Macquarie Koala Hospital: Macquarie Nature Reserve, Lord St, Port Macquarie; phone 02 6584 1522; visit www.koalahospital.org.au. Roto House: Macquarie Nature Reserve, Lord St, Port Macquarie; phone 02 6588 5555; visit www.nationalparks.nsw.gov.au. Cassegrain: Pacific Highway, Port Macquarie; phone 02 6582 8377; visit www.cassegrainwines.com.au. Bills Fishhouse & Bar: 18-20 Clarence St, Port Macquarie; phone 02 6584 7228; visit www.billsfishhouse.com.au. 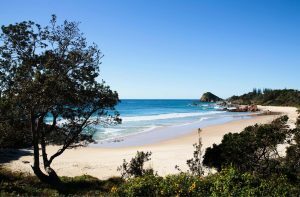 Shelley Beach, Port Macquarie. Image: Destination NSW. PortoBistro: 124 Horton St, Port Macquarie; phone 02 6584 1171.